On matchday 6 of the Ukrainian U19 league the Pitmen faced Vorskla. Goals: 1:0 Semenikhin (20), 1:1 Melnik (90+3, pen). Serhiy Kovalyov’s charges faced the team, who had not lost a single game. In the current season. In five matches, Vorskla got three wins and played out two draws, sitting second in the table. The Pitmen were sitting seventh with three wins and losses. The Pitmen showed fast football on the wet pitch while the Poltava side used the tactics of light fouls. One of the fouls committed by the visitors on 20 minutes led to a goal: Dmytro Topalov delivered a cross into the penalty area for defender Ivan Semenikhin to head the ball in to make it 1-0. After 10 minutes, Semenikhin had another chance to score after a corner kick but his close range effort was blocked by Vorskla’s defender. The Pitmen combined a lot, using the entire width of the pitch and the opposition penalty area, but there were not many shots goal wards. 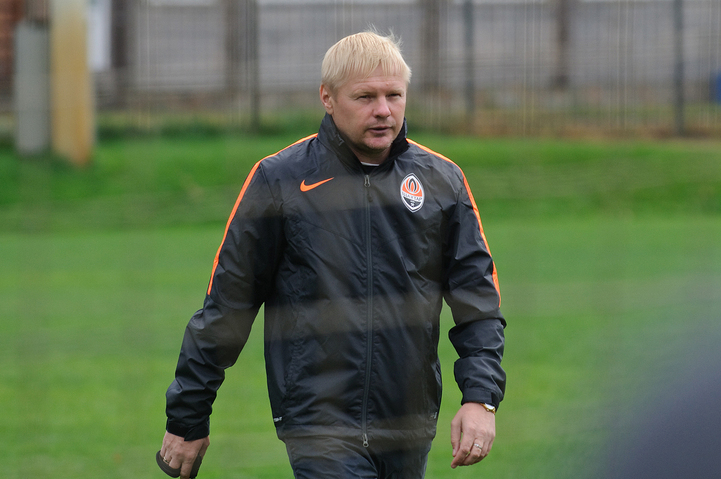 Shakhtar’s goalkeeper Vladislav Trescheyko, in turn, worked only while rushing out of goal. Shakhtar went into the break with a narrow 1-0 lead. In the opening stages of the second half, Yevhen Prodanov failed to seize on an excellent chance after hitting the ball wide following a pass from Vladislav Bugay. Soon Bugay took a great shot from the edge of the penalty area – straight into the opposition goalkeeper’s hands. On 62 minutes, Trescheyko came to rescue his team-mates, catching the ball in the far corner. In the next episode, the Pitmen’s goalkeeper threw himself bravely into the feet of the opposition player. Having refreshed the game through substitutes the Poltava took control of the game. The Pitmen’s defence easily coped with the opposition attacks, with the culmination of the game taking place in the stoppage time. The referee added six minutes and awarded a penalty kick against Shakhtar in a controversial situation. The visitors’ captain Melnik beat Trescheyko from a penalty spot to make it 1-1. Shakhtar U19 got 10 points. They will play their next game on 11 September in Bila Tserkva with Olimpik Donetsk. - The coaching staff is grateful to the boys for today’s match, for their full commitment on the pitch and willpower! If the team continue playing in the same vein, we will sure make progress. - This season, I captained the squad for the first time. The factor of additional responsibility was present, but the game was usual. The only difference is that today there were many challenges, but we did not look inferior. It's a shame that in the end we failed to get a win, we conceded from a penalty kick. The game was very tough, but that's football. - This is my second goal of the season, and there is a reason to be proud, given the high status of Shakhtar. This time during training, we specifically worked on set pieces, so today there was some improvisation: I came inside the penalty area, fought and scored. I could have scored second goal - after a corner kick, but the opponents made the clearance at the very last moment. But in the defence, of course, we had enough work to do – there were a lot tackles and challenges. I think we are a real team and today we showed character.